While Hannah is away on a secret mission, Marty, Nick and Tim (with a brand new, very powerful microphone) gather around to talk about Truth: Red, White and Black, the 2002 masterpiece from Marvel that explores the dark side of Captain America’s legacy. All Comics Considered first ever give away ends TODAY! 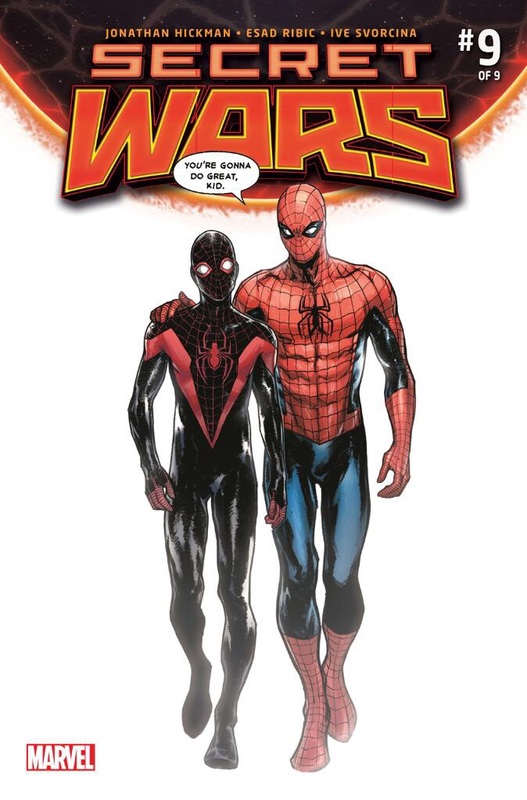 Leave us a review on iTunes or Stitcher Radio by the end of today–2/17/16–and you’ll be entered to win a variant copy of Secret Wars #9 with a beautiful cover featuring Peter Parker and Miles Morales with art by Sara Pichelli.